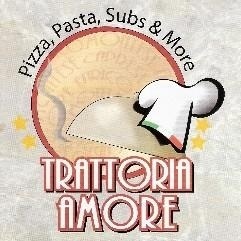 Here at Trattoria Amore, we serve authentic Italian dishes and New York-style pizza to the Ellicott City and Columbia community. We have indoor and outdoor seating, for when the weather is nice. We are all about our customers and strive to provide not just excellent food, but excellent service. At Trattoria we serve delicious New York-style pizza, authentic Italian dishes, great subs, and more! A letter from us, Carlo and Gianni Morra, to potential customers. If you are not convinced, yet another reason why you should visit us! We compare our prices to our competitors.